But He answered and said, "It is written, 'Man shall not live by bread alone, but by every word that proceeds from the mouth of God." "He who does not love does not know God, for God is love." "But the fruit of the spirit is love, joy, peace, longsuffering, kindness, goodness, faithfulness, gentleness, self control. Against such there is no law." "For God has not given us a spirit of fear, but of power and of love and of a sound mind." "These things I have written to you who believe in the name of the Son of God, that you may know that you have eternal life, and that you may continue to believe in the name of the Son of God." What verses have you memorized that comforts you? Thank you for your wonderful post! 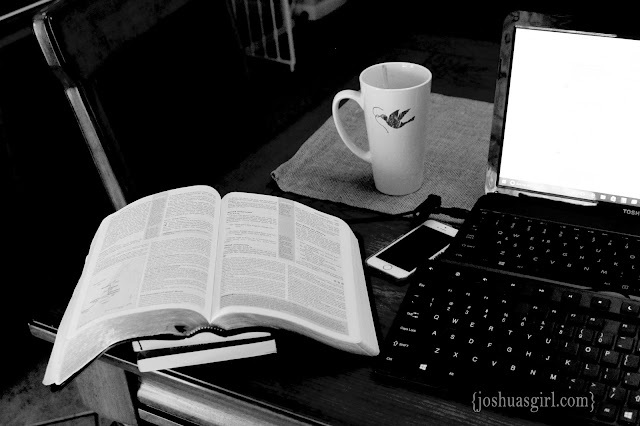 Two of my favourites are Joshua 1:8 and Joshua 1:9. I love to meditate on verses, memorise and review them with the Bible memory app Remember Me. Have you tried it? It makes memorising not only fun but also makes sure you will never forget the Words of God that you have learned.